The electronic cigarette brand Juul is known for its popularity among teens. Even though the company has vowed not to market to underage users, a new study shows many adolescents are being exposed to the device through social media. Research from the Keck School of Medicine at the University of Southern California finds underage kids make up 25 percent of Juul's followers on Twitter. "Juul's posts go out to its followers, those users then retweet into their own accounts, and the message gets propagated within the social network, ultimately reaching a lot of adolescents accounts in a small time period," study author Dr. Jon-Patrick Allem told CBS News. 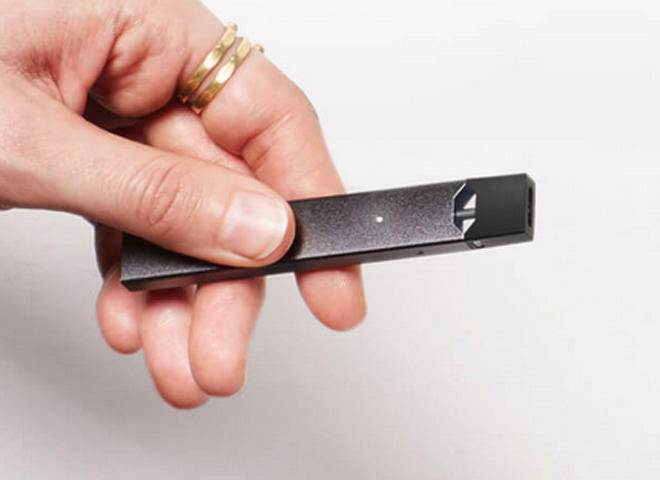 Juul resembles a flash drive and can be plugged into a computer to recharge. A "pod" of liquid containing nicotine is loaded into the device and heated, with the user inhaling the vapor. That vapor contains about double the concentration of nicotine found in other e-cigarettes, the study authors say. It also comes in a range of youth-friendly flavors, including mango and fruit medley. Research shows adolescents exposed to e-cigarette marketing and ads are more likely to use the devices. Allem says it's a public health concern. "Nicotine use during adolescence curbs brain development. And adolescents can become addicted to nicotine via electronic cigarettes," he said. "Research has shown that initiation with electronic cigs can lead to initiation with combustible cigs." According to the Centers for Disease Control and Prevention, 9 out of every 10 cigarette smokers started before age 18. For the study, researchers collected 3,239 tweets from Juul's official Twitter account, @JUULvapor, for a year between February 2017 and January 2018. These tweets were retweeted 1,124 times by 721 unique Twitter users. The users' Twitter profiles were then examined to determine if the individual was under age 18. The results of the study are published in the Journal of Adolescent Health. Juul says it is taking actions to prevent and combat underage use. In a statement, the company says it "has aggressively worked with social media platforms to remove posts and accounts that portray our product in unauthorized and youth-oriented manners. In just six months this year, we helped remove over 8,000 listings, 450 accounts, and 18,000 online marketplace listings." Back in June, Juul executive Ashley Gould told "CBS This Morning" the company had changed its marketing approach and did not mean to attract teens. "I will take the criticism that we should have known. I will take that criticism. But we know now. We're working very hard. And we are committed," Gould said.